London’s Ace Cafe will forever be associated with greasy rockers, old Brit iron and the post-War “Ton-Up Boys”. 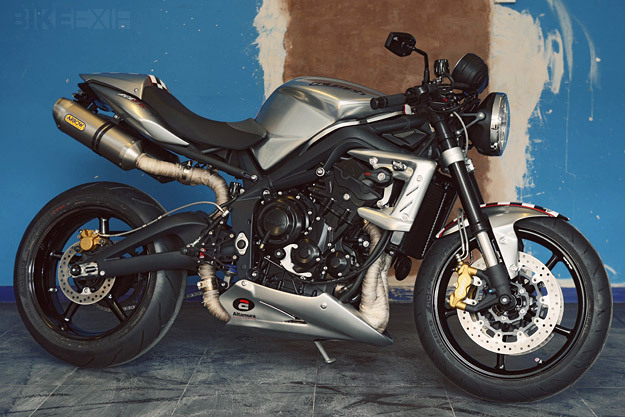 But this venerable institution has now put its name to a very contemporary café racer—based on the Triumph Street Triple R. A short run of ten 675CR Street Triple Specials will be built by Jack Lilley, the long established West London Triumph dealer. 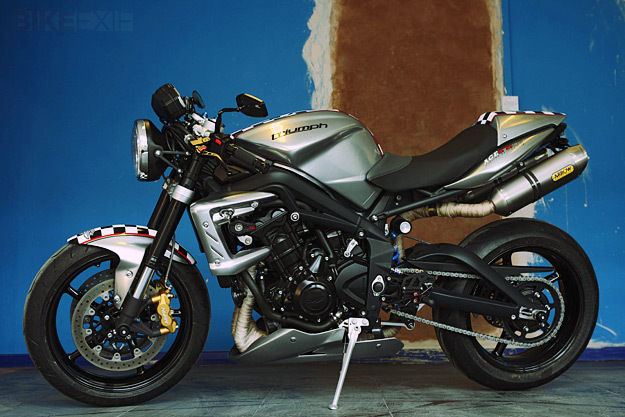 The stock Street Triple R is not short of performance, so mechanical upgrades are minimal. 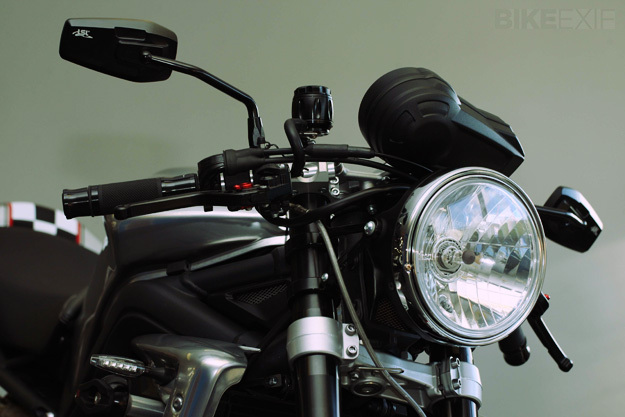 The 12-valve motor has been fitted with heat-wrapped down pipes, Arrow end cans, and Triumph’s own Quickshifter. 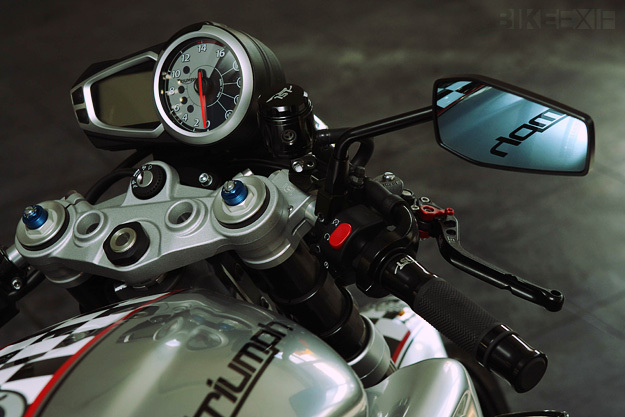 The highly-regarded German Triumph specialist LSL supplies adjustable rear-sets, clip-ons, grips and levers, plus mirrors and brake reservoirs. 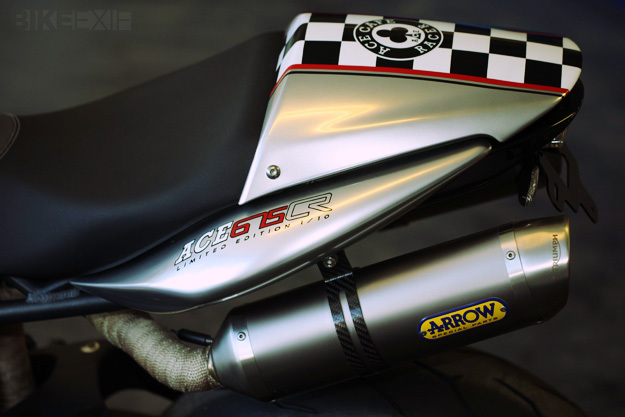 Other LSL parts include a “tail tidy”, crash protectors for the forks, swingarm, clutch and frame, and a single powerful 7” headlight. 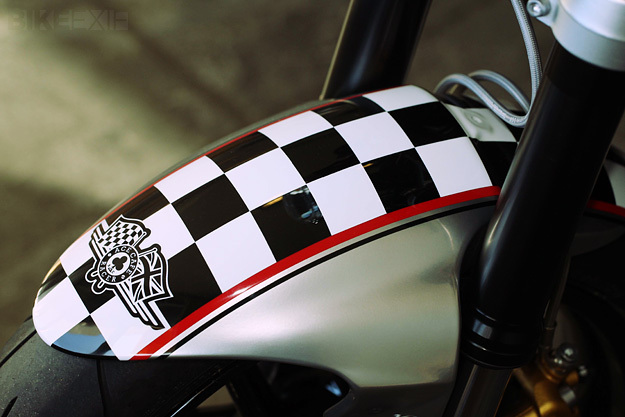 Custom graphics and paint are applied to the seat and radiator cowls, belly pan and even the lightweight five-spoke cast 17” aluminum wheels. Tires are top-spec Pirelli Diablo Rosso Corsa. The cost of the Ace 675CR is £12,999 (around US$20,700). That’s around £5,000 over the factory bike. But then again, it’s not cheap to upgrade a bike as good as the stock Street Triple R—and exclusivity always has a price.